If you are considering cutting the cable cord or just looking for more viewing options on your HDTV, the choices of how to get started are many and varied. Today it just got easier. Roku, one of the most recognized names in streaming media boxes, has released their next generation model. The Roku 3 provides access to over 750 streaming channels including Netflix, Hulu, Amazon Instant Video and HBO Go as well as others that that provide content in HD. It also streams music, offers games such as Angry Birds in Space, and has the ability to display the photos from your smartphone onto your big screen TV. This new unit has a faster processor as well as an improved user interface and a microSD slot for additional storage. 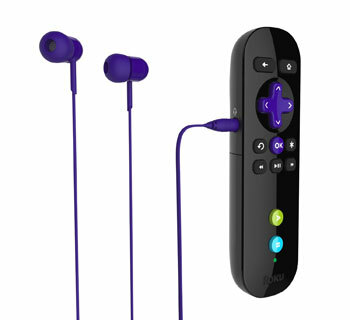 In a new twist, the remote has a jack for earbuds in case you want to watch your show without disturbing others in the room or if you don't want to listen to your kid's favorite streaming program. You can see how it stacks up against earlier Roku models with this handy manufacturer chart. Unfortunately, the service is still missing YouTube from its channel line up. The Roku 3 requires a broadband internet connection with a minimum speed of 1.5 Mbps and an HDTV. The box can tap into your internet connection via Wi-Fi or ethernet plug. It is available now for $99 from Roku and Amazon .